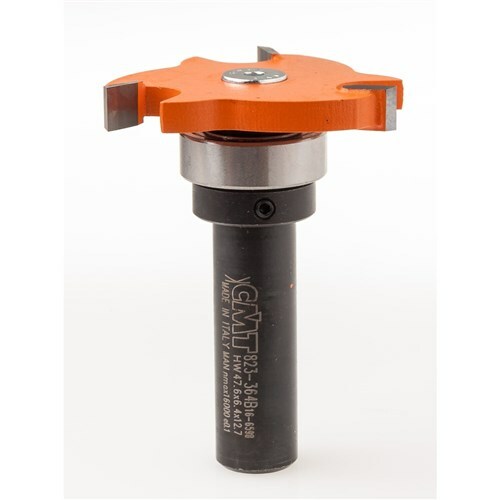 Use the CMT slot cutter to rout grooves and rebates, T-slots or the relief to start dovetail joints on wood panels. Each bit features three carbide-tipped cutters, orange coloured PTFE coating and anti-kickback design. The 22mm (7/8") bearing is included for a cutting depth of 12.7mm (1/2"). The bit and the slot cutter are available also separately.